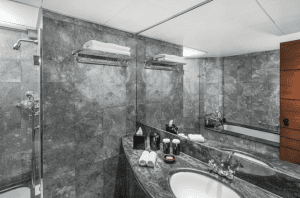 Bathrooms are of fundamental importance to your home. Not everyone will frequent every room in your home, but many people will need to use your bathroom, and we bet that you spend a reasonable amount of time in there yourself. It is important that this space is attractive, a place of relaxation and hygienic. When it comes to bathroom design, the finishing touches are everything. Your bathroom should look effortlessly seamless, and in order to do that, you will need to pay special attention to the finishing touches within your bathroom. You might really want a period feel in your bathroom, but you cannot go all out with this type of theme if the rest of your home is contemporary. You may find that you need to inject your chosen theme in a much more subtle manner and search for less obvious ways to get the look you are seeking so that you do not make guests in your home feel as though they have stepped inside a different house. It is a good idea to choose an era or theme and then stick to it. Bathroom themes exist for a reason, and that is because the individual elements of the furnishings complement each other. You may think that nobody will notice if you have a contemporary cube-shaped light switch and then traditional Edwardian taps, but these items are unlikely to complement one another, and the decor in the room will not flow the way it should. A knowledgeable bathroom specialist will have a good idea of what will best suit your home. Work with them to achieve a balance that you are comfortable with. If you want to know what separates a good bathroom from a great bathroom, it is the little details. They tie everything together and make your room look finished. You may be tempted to blow all of your budget on your bath or shower, or on your tiles or wash basin, but make sure you pay attention to the accessories. Invest in our high-quality accessories to complete your design, such as shelves, mirrors, heated towel rails, tumblers and holders. You may invest more but it will be worth it. People do pay attention to the little things, and these aspects of your bathroom will bring everything together. Czech & Speake Showroom, Pimlico Road. In your haste for a new bathroom, you may be tempted to try and fund it before you are really ready, but it’s important that you try and resist the temptation to do this. 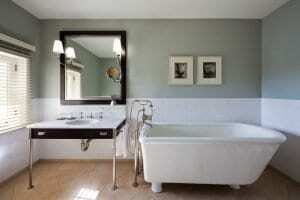 Bathrooms are expensive and need to be well planned, to be durable and to stand the test of time. A lot can be achieved with a few well-chosen accessories. At Czech & Speake, all of our bathroom fittings and accessories are beautifully manufactured, long lasting and serviceable. In fact, it is the longevity and durability of our products that we are so well known for. For great quality bathroom finishing, check out our Edwardian, Cubist and DCA/FSD collections. Our bathroom specialists would be happy to talk through any ideas you have.